Don't get us wrong, we love living in the bustling tropical metropolis that is Bris Vegas and we won't be getting bored of its seemingly endless supply of quirky espresso bars and innovative eateries anytime soon, but there are some days when we crave being that little bit closer to nature. Nothing beats temporarily abandoning the city, packing up your Esky and your family members, and heading out for a picnic, but knowing just where to picnic in Brisbane can be tricky (especially if you're trying to be inventive and avoid the regular spots). As Yogi Bear will tell you, the key to any good picnic is preparation. Before you leave in a flurry of plastic forks and insect repellent, stock up on finger food/basket filling favourites. Crust & Co artisan bakery in Newmarket have a decadent selection of freshly bakes pastries (pistachio croissant? Breakfast brioche?) that are perfect for taking picnicking. 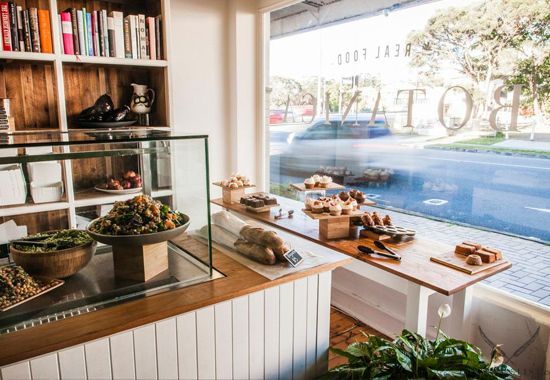 We also can't go past the gluten free salad and sweet treat selection from Red Hill's Botanica Real Food when we're off on a 'nic (their cinnamon bundt cakes taste like Christmas and a donut rolled into one). If you're after that classic picnic staple, the sandwich, the selection from Brewbakers in Albion is impressive and delicious (and no one would judge you for grabbing some sourdough jam donuts for afters). If you're too lazy to pack a basket yourself, let the gang at The Picnic Society do it for you. They've got three gourmet baskets to choose from, all stuffed with made locally sourced ingredients—think roasted stone fruits with honeyed ricotta, chorizo and grilled corn salad, panna cottas, nutty freekeh salad with beetroot and fennel, and an unctuous array of cheeses. They even provide the cutlery, crockery, napery and glassware. Easy peasy! Lastly, don't forget to check the weather forecast: no one likes soggy sandwiches. The lookout point may steal a lot of the Botanical Gardens' thunder but you don't need to climb quite so high to find a great picnic spot. Settle in the shade of one of the many Poinciana trees or set up camp in the Japanese Garden and prepare for an afternoon of horticultural picnicking. After a more watery destination for you picnic? The expansive wetland area of Nudgee Beach is a great place for working up a pre-lunch appetite before throwing down the picnic rug and taking in the view over the mangroves. A short drive from the CBD, Nudgee Beach also features a nearby bike track. A 53 acre reserve surrounding the South East suburbs, Whites Hill Lookout is home to echidnas, wallabies, over 58 species of bird, and even a couple of koalas. The reserve has plenty of sweet picnicking spots in among the wildlife too, take your sandwiches to the top of the Whites Hill Summit and you'll have great views down through the trees and over the city. Like your lunch with a side of history? Colonial cottage, Newstead House sits aside the Breakfast Creek bank of the Brisbane River as the city's oldest surviving residence. Its extensive grounds, with manicured lawns and rolling parkland, are a picnicker's paradise and the house is open to the public from Tuesday to Friday, as well as Sunday afternoons. Technically a eucalyptus treed reserve that surrounds Lake Samsonvale just north of the city, Bullocky Rest also doubles up as an idyllic picnic spot. The huge lake is home to a number of black swans and there's a walking track that leads through the bushland to other lookout points. A tried and tested picnic spot, Kangaroo Point Park's panoramic views of the river and City Botanic Gardens take some beating. The CBD park is buttressed by The Cliffs Cafe and the secretive St. Mary's Church and also encompasses several public artworks, including the 23 metre 'Venus Rising' sculpture, perfect for admiring over an egg mayonnaise sandwich or two. Got some Merry Men that need entertaining? Round them up for a visit to Sherwood Forest Park. As well as its secluded picnic areas the huge park also encompasses soaring trees, river views and even a duck pond; an ideal location for after-lunch exploring.